Organic port is hard to come by. 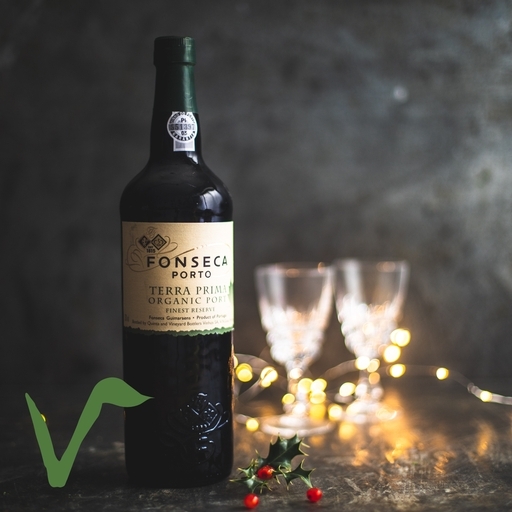 Fonseca’s award-wining Terra Prima Reserve is wonderfully rich and concentrated, with a deep, plummy flavour and velvet smooth texture. It’s just the thing alongside some moreish stilton at the end of a meal, or simply savoured on its own. Best served on its own or at the end of a meal with cheese. Bottled for immediate drinking and no need to decant. Fonseca was one of the pioneers of organic wine making and production in the Douro valley. They converted to organic back in 1992. Ten years later they produced their first ever port made entirely from certified organic grapes. The result was Terra Prima Reserve, an elegant blend where the natural fruit flavours really sing out.